Founded in 1985, Casa Patas is one of the great centres for promoting flamenco around the world. For people new to flamenco, Casa Patas has, over the last three decades, been a sanctuary for traditional flamenco “cante jondo”, bringing to life the legends, dreams and idols of an art that stands out in its own right as one of the capital’s major attractions. 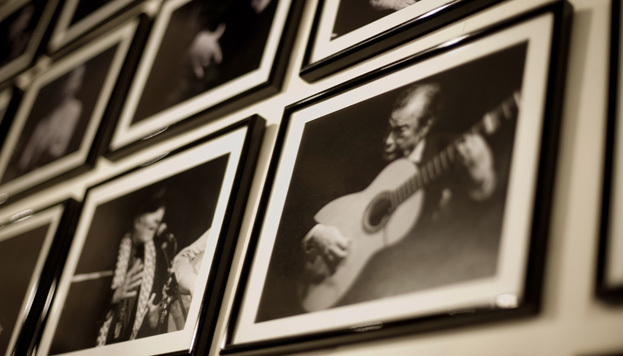 Casa Patas, located on Madrid’s iconic Calle de los Cañizares, provides a point of contact both for local Flamenco artists and for others passing through. The venue (known as a “tablao”) extends a warm welcome to artists, knowledgeable fans and the general public (both local and foreign), who gather here regularly to take part in magical nights of spirited singing and dancing. 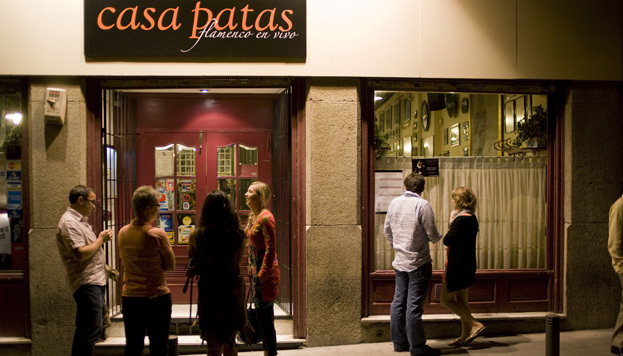 Madrid is the world capital of flamenco; and Casa Patas is one of its great exponents. Our city is not only Spain’s economic, political and cultural capital; it is also a meeting place for people from the four corners of the world who have settled here, preserving their own traditions and enriching them with others. This is why Madrid can be described as “the world capital of flamenco”, despite this being an art traditionally associated with Andalusian culture, and the Lavapiés neighbourhood is undoubtedly the beating heart of the flamenco scene in Madrid. Legendary flamenco bloodlines have lived in this area for more than 150 years and many of them still call this part of Madrid their home. This led to Casa Patas being opened here in 1985, and since then the venue has been inextricably linked with the genre. Nowadays, it is known all over the world for being a nerve centre for this art form. In 2009, the Region of Madrid awarded Casa Patas the Enrique Maya prize for its contribution to the development and dissemination of flamenco art, as well as for its unstinting work in favour of the integration of gypsy people. Casa Patas is also a tavern and restaurant serving tapas and traditional fare. Casa Patas is a tavern-restaurant and flamenco “tablao”, with a fantastic range of excellent food prepared with top quality products and based on traditional Spanish recipes, combined with a varied programme of first-rate live flamenco shows. It boasts two spacious areas: the tavern-restaurant and the Flamenco performance stage. 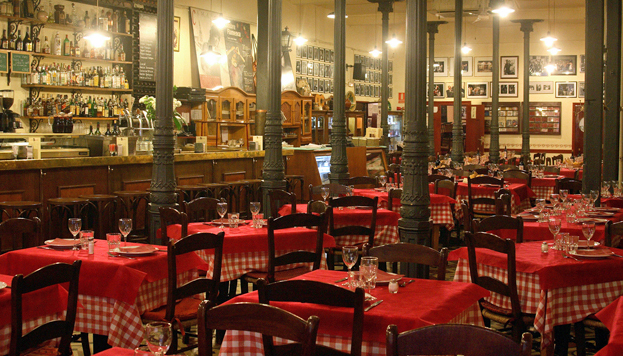 The former, accessed directly from Calle de los Cañizares, features a dining area serving a menu of lunches and dinners plus a large bar for enjoying tapas, the small-format versions of Spanish culinary art. The latter, at the back of the premises and accessed through a doorway, holds Flamenco shows every day and also offers food and drink. In addition to the new talent always featured on the programme, the cream of traditional flamenco has performed here, including Camarón de la Isla, Enrique Morente, Estrella Morente, Remedios Amaya, Duquende, Arcangel, Antonio Canales, Farruquito, Sara Baras, Tomatito, Raimundo Amador, Juan Habichuela, Rafael Riqueni, Diego del Morao, Manuel Parrilla, as well as top flamenco jazz artists like Jorge Pardo, Chano Dominguez and Jerry González. From Camarón de la Isla to Estrella Morente. 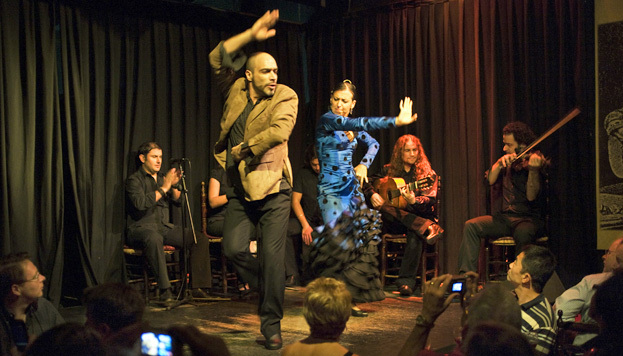 The biggest stars of the flamenco scene have performed at Casa Patas. Flamenco is revered at Casa Patas. As die-hard fans of this art form, listed as Intangible Cultural Heritage by UNESCO, everyone takes flamenco very seriously here at this tablao, which explains why it is one of the most popular and well-loved flamenco venues in the capital.